A new survey has revealed that two-thirds of housebuyers would consider paying more for a wildlife-friendly garden. The research found that seven out of 10 people in the UK would consider paying extra for a property that has a wildlife-friendly garden. The RSPB and the property website Rightmove asked 1,548 people a series of questions relating to gardens and garden wildlife. In answer to the question ‘would you pay more for a house with a wildlife friendly garden?’ 14% of people surveyed answered ‘yes, definitely’, another 14% answered ‘probably’ and 39% said ‘maybe’. Of those surveyed, seven out of 10 (69%) described the area in which they live as either urban or suburban; more than half (56%) have children; and more than nine out of 10 (93%) said they were happy when they saw wildlife in their garden. The survey was carried out to get an insight into people’s knowledge and interest in UK garden wildlife following the launch of the RSPB’s new campaign, Giving Nature a Home, which aims to help tackle the crisis facing the UK’s threatened wildlife. 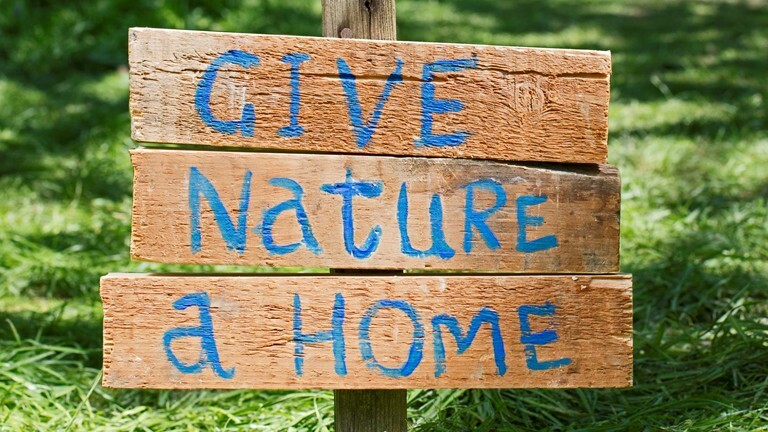 The charity is urging the nation to provide a place for wildlife in their own gardens and outside spaces and hopes to inspire people across the UK to create a million new homes for nature.